"These cookies are really chewy and addictive." These cookies are a hit! But....I did change the size to just spoondrops and changed the baking time to approx. 9 mins. They came out great! The whole family loved them! 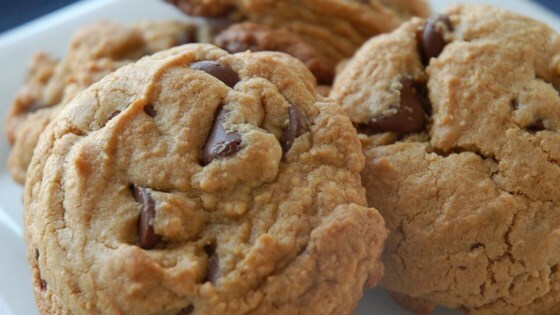 These cookies are very chewy and moist if you are not a crispy cookie person. My husband and kids all loved them and gave rave reviews on taste and how chewy they were.